New JEEP Compass – An Accomplished Navigator. 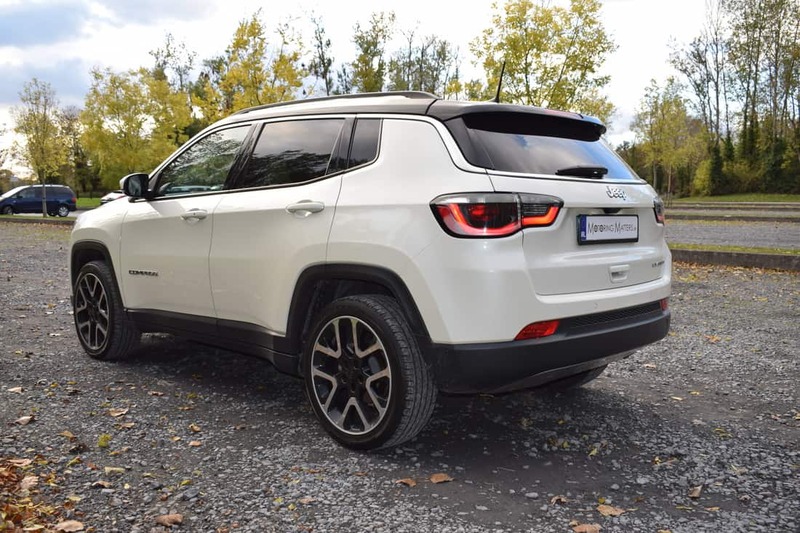 The original JEEP Compass SUV was launched in Europe in 2006 and underwent some revisions in 2011, before being removed from JEEP’s European SUV line-up in 2015. 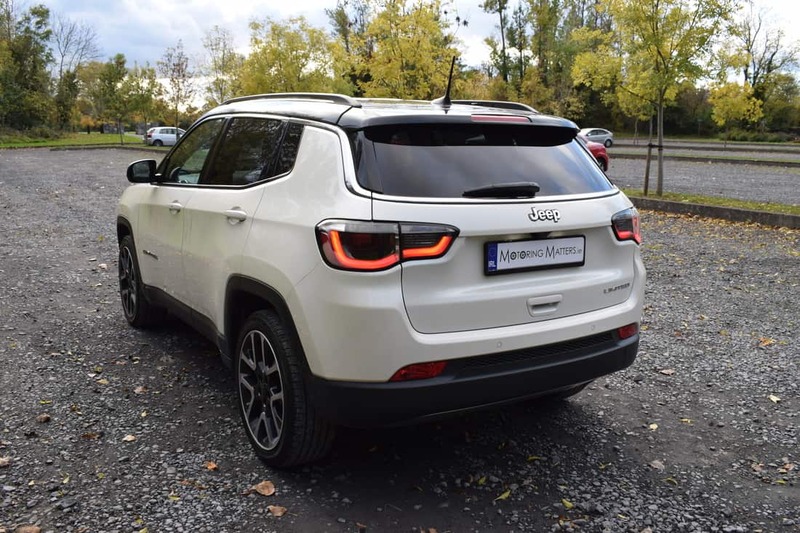 Now, after a three-year absence, the all-new 2nd Generation of the JEEP Compass is tasked with stealing sales from rivals such as the Mazda CX-5, Honda CR-V, Peugeot 3008, Škoda Kodiaq and Opel Grandland X. 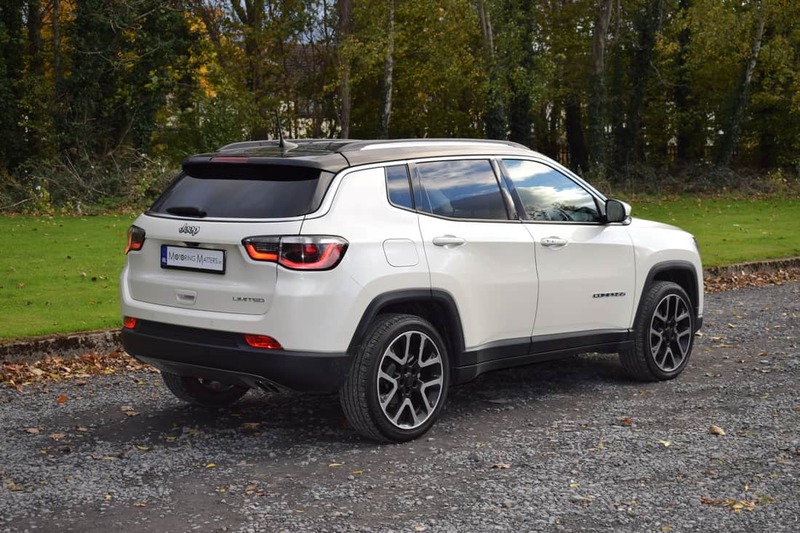 The original JEEP Compass was boxy and relatively unattractive, but the new version that sits between the smaller Renegade and bigger Cherokee in JEEP’s model range is altogether more stylish, more modern and more functional. Its innovative beauty renews the most iconic features that make the JEEP brand design so legendary. The new JEEP Compass benefits from a sleek and aerodynamic design – from the seven-slot front grille to the molding that wraps dramatically around the entire length of the vehicle, giving the Compass an upscale, sophisticated profile. 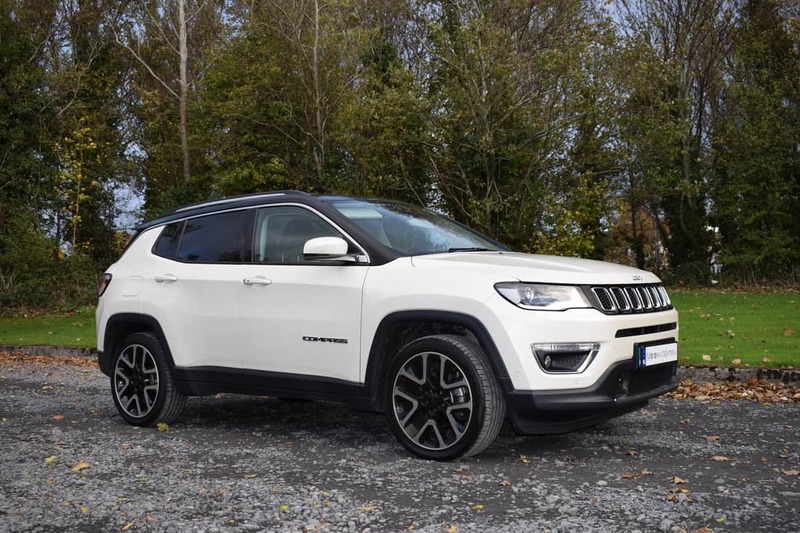 The new Compass has a look that embraces its off-road ability, while its squared-off wheel-arches are reminiscent of its bigger sibling, the Cherokee. 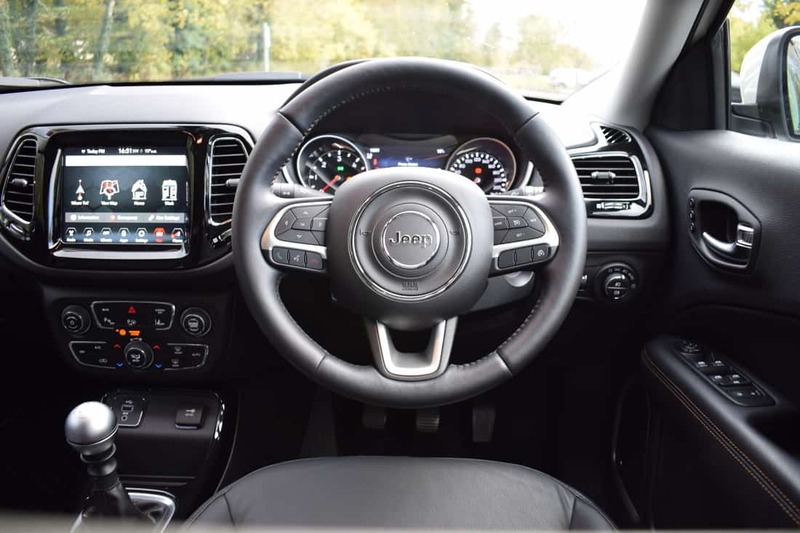 Three specification levels are available in the new JEEP Compass – ‘Sport’, ‘Longitude’ and ‘Limited’, with the entry-level ‘Sport’ model only available with a 1.6-litre M-jet (turbo-diesel) engine with 120bhp. 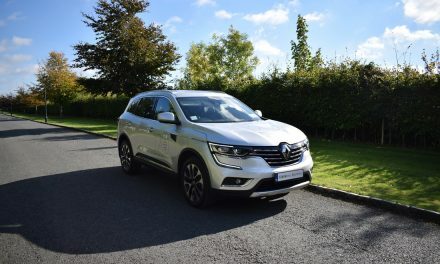 Engine choices in the mid-spec ‘Longitude’ model include a 1.4-litre TM-air (petrol) engine with 140bhp, a 1.6-litre M-jet engine with 120bhp and a 2.0-litre M-jet engine with 140bhp. Range-topping ‘Limited’ specification is available with the same engine line-up as the ‘Longitude’ model, but adds a 2.0-litre M-jet engine with 170bhp to the mix. A six-speed manual gearbox is standard across the range, with a smooth-shifting 9-speed automatic available only with the M-jet 170bhp engine. All 1.4-litre petrol and 1.6-litre diesel engines are mated to a front-wheel-drive system, while the 2.0-litre diesel engines (140bhp and 170bhp) come with JEEP’s fantastic all-wheel-drive system for added peace of mind in slippery driving conditions. 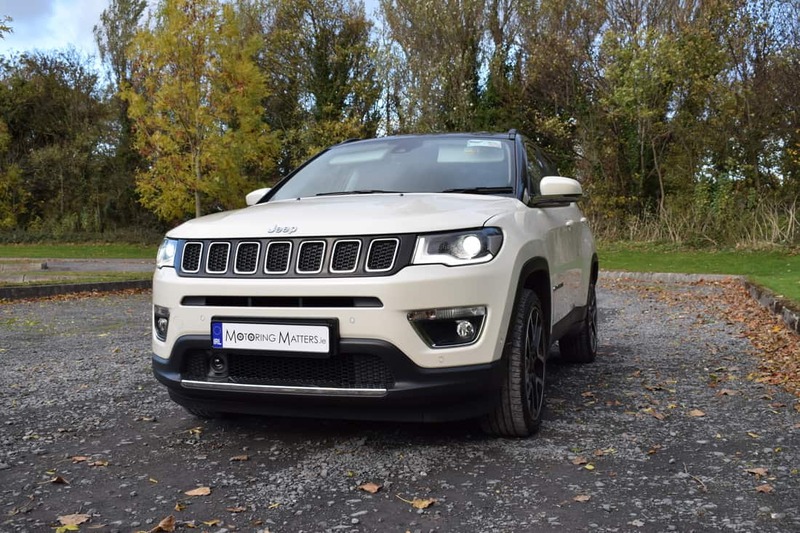 My test car was a new JEEP Compass 1.6-litre M-Jet (turbo-diesel) 120bhp SUV in range-topping LIMITED specification, which looked stunning in ‘Vocal White’ pearlescent paint with a contrasting black roof. With 320Nm of torque available at 1750rpm, the 0-100km/h sprint can be completed in just 11.0-seconds, while a top-speed of 185km/h is achievable where permitted. With claimed fuel consumption as low as 4.0-litres of diesel for every 100km driven on an extra-urban driving cycle, the 60-litre fuel tank in the new Compass will allow for up to 1500km’s between fill-up’s. Towing capacity (with a braked trailer) – often a consideration for buyers of SUV’s – is between 1000kg and 1900kg, depending on the engine chosen. Standard specification across the entire JEEP Compass model range is impressive, with my test car coming with such features as leather upholstery, 8-way electrically adjustable & heated front seats, split-folding rear seats with a load through provision, heated leather multi-function steering wheel, front & rear floor mats, front & rear armrests, ambient LED interior lighting, dual-zone automatic air-conditioning, cruise control with speed limiter, front & rear parking sensors, rear camera with dynamic gridlines, auto lights & wipers, parallel & perpendicular park assist, power-folding exterior mirrors, keyless entry & go with remote central locking, 7” TFT colour cluster display with onboard computer, BeatsAudio™ 560W infotainment & navigation system with an 8.4” touchscreen display, 8-speaker DAB audio system with a subwoofer in the luggage area, Apple CarPlay & Android Auto, Bluetooth, 18” alloy wheels, LED daytime running lights, LED rear lights, front fog lights with cornering function, chrome exterior styling pack, dark tinted privacy glass, lane departure warning, forward collision warning, blind spot monitoring, rear cross path detection, six airbags, electronic stability control with roll mitigation, hill hold control, trailer stability control, ISOFIX child seat attachments in rear and an anti-theft alarm system. 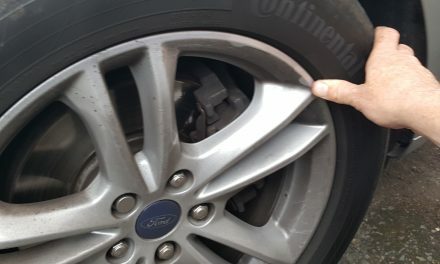 Optional extras fitted to my test car included a ‘visibility pack’ consisting of HID Bi-Xenon headlights, a ‘style pack’ consisting of 19” diamond-cut alloy wheels and a full-size steel wheel. With such high equipment levels and excellent practicality, the new Compass is a truly effective, and fun, family-sized SUV. On the road, the Compass is a competent cruiser and offers a composed ride quality for all occupants. 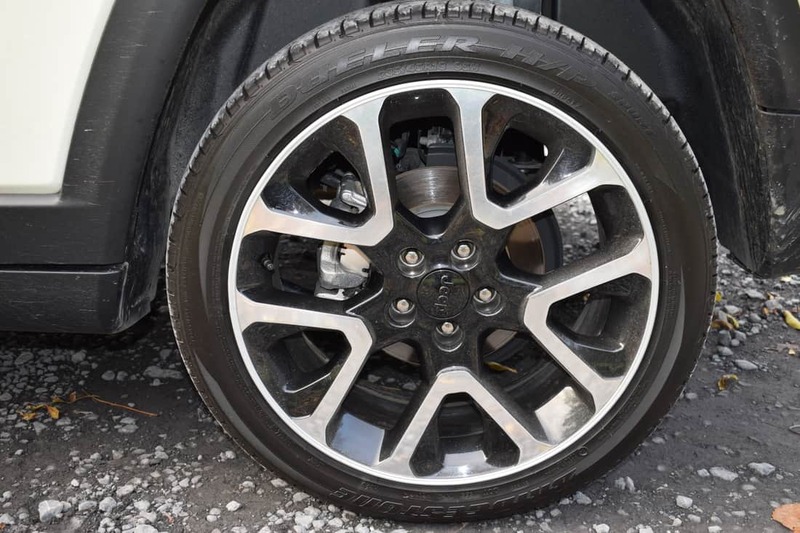 The steering is well weighted and provides excellent feedback to the driver, while the car’s European-focused suspension tackles rough road imperfections with ease. Thanks to the upright stance of the new Compass, all occupants should be more than happy with the amount of head, shoulder and leg room on offer. 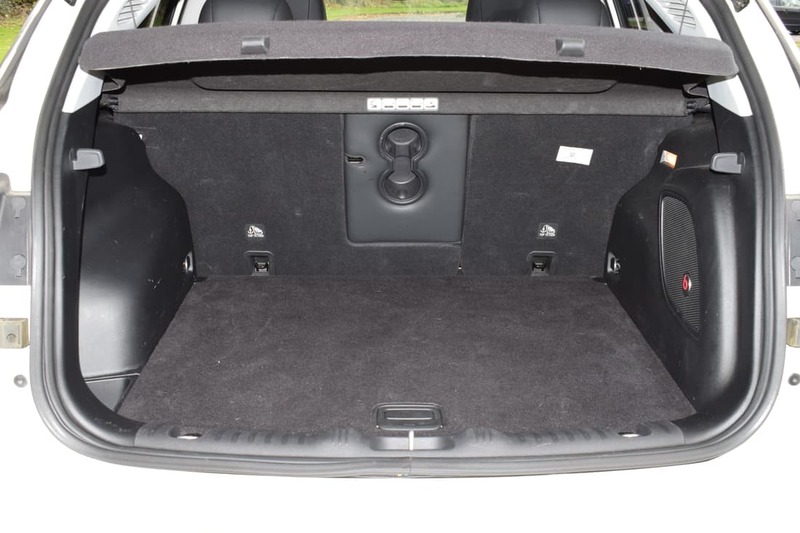 Boot space, with the rear seats in place, is 438-litres when specified with a ‘Fix & Go’ puncture repair kit, but this increases dramatically once the rear seat backs are folded. 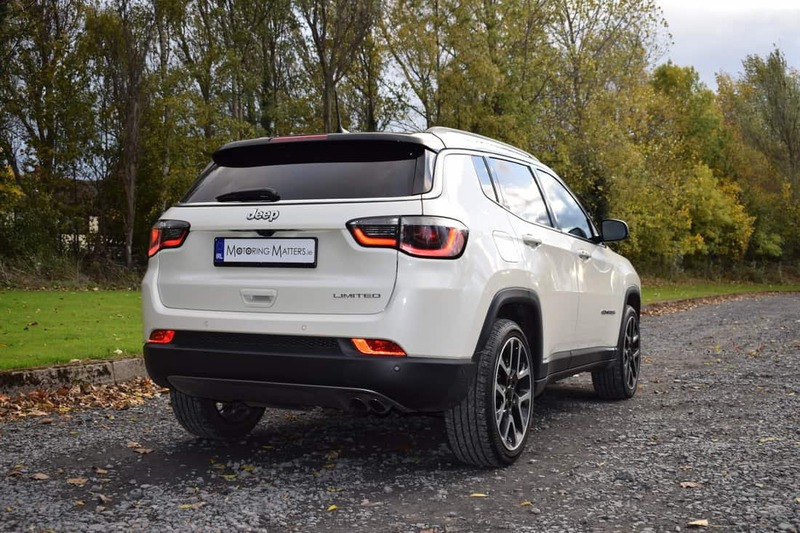 With prices for the new JEEP Compass ‘Sport’ starting at a very competitive €27,995 (ex-works), there has never been a better time to buy into the legendary and iconic JEEP brand. 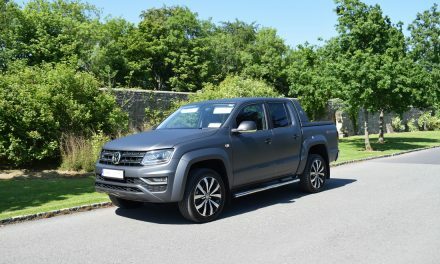 Mid-spec ‘Longitude’ models are priced from just €30,145 (ex-works), while the range-topping ‘Limited’ specification is available from just €33,595 (ex-works). A comprehensive vehicle warranty, paint defect warranty, anti-corrosion warranty and roadside assistance package comes as standard across the entire JEEP model range for the ultimate in peace-of-mind motoring. Visit www.jeep.ie for further information. 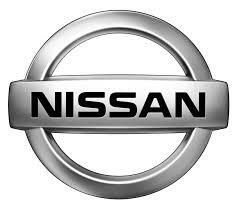 PreviousNissan Ireland announce ‘Price Freeze’ on orders placed before year end, 2018. NextNew Honda Civic Type R – World’s Fastest FWD Production Car.